You will love your body when you wear this tops from Globus. This boat neck top are ageless. Look audacious and cute in the brown colored top. A full sleeves top is the best choice for the sultry summers. Bring out the high-low style in the solid top. 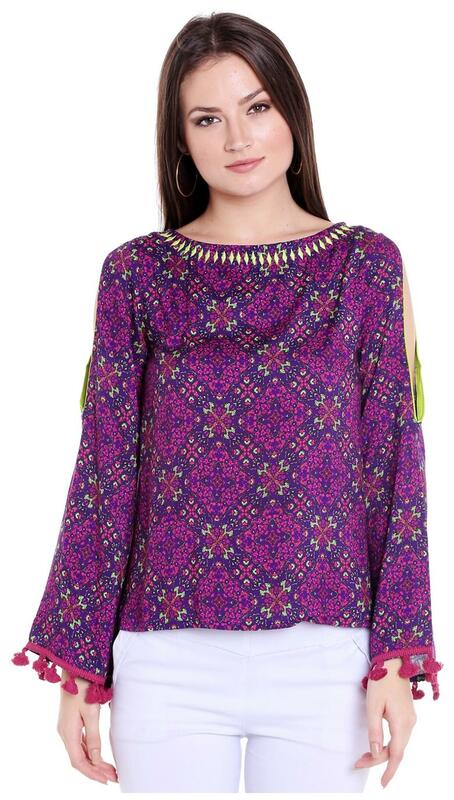 Be delicate when you wear the viscose fabric top. Pair this top with denims and a leather backpack.